VENTURA, Calif. (WLS) -- "Good dog," is an understatement when you're talking about this heroic pooch in California. 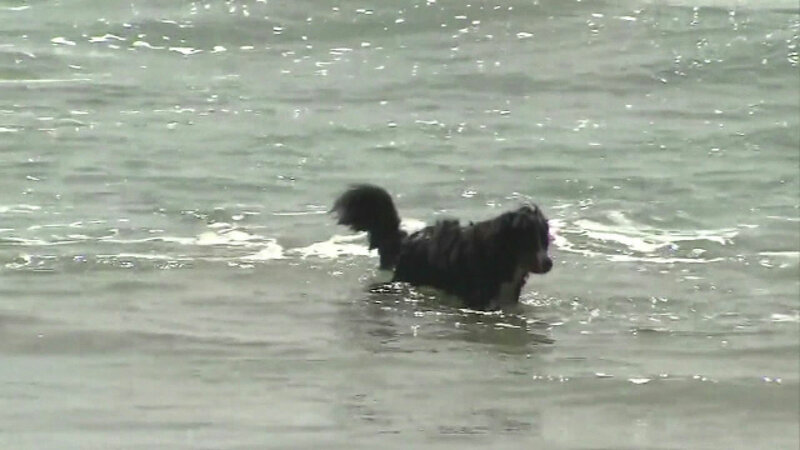 Nico the Bernese mountain dog saved the lives of two swimmers caught in a rip current at a Ventura, Calif. beach. The man and woman yelled for help, and Nico splashed right in, dragging them back to safety. The grateful swimmers asked if Nico was trained as a rescue dog. His owners say no, they've never seen him do anything like it.